On the first listen, it’s easy to fall under the sway of the sweetness of Dan Bruce’s silky guitar tone, only to miss the substance at the heart of his music. Just as similar guitarists like Ben Monder or Kurt Rosenwinkel possess a generous, accessible sound with an exploratory edge, Bruce brings a finely-polished technique that is at the same time subtly discontent, searching for new expressions and willing to take some chances along the way. 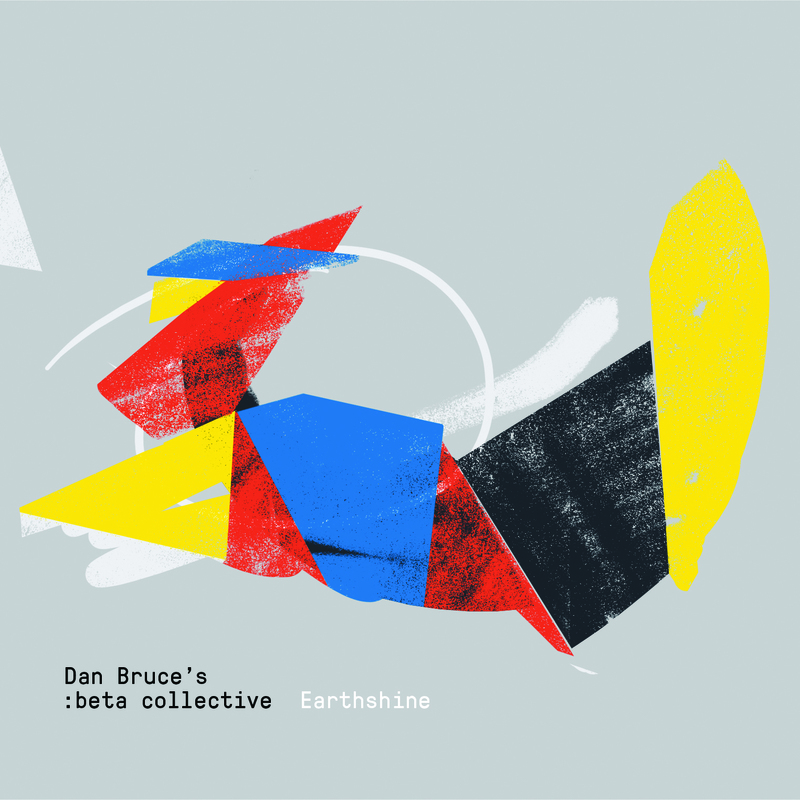 His capacious compositions featuring his new group, Beta Collective, are front-and-center on his latest release, Earthshine—his first as a leader since his 2007 debut, A Single Thread. The album’s title-track opener highlights the expansive course Bruce’s compositions can take. Built on an inviting melodic foundation, the 13-minute piece covers a lot of ground, with a strong groove and well-executed time-signature shifts that spark a dynamic, yearning solo from Bruce and an even wider-ranging one from trumpeter Russ Johnsonduring a pensive rubato section that quickly enters more fervid territory, as the band once again re-establishes the groove and Johnson surges over it. For compositions with this kind of restless energy, a top-notch rhythm team is crucial, and Bruce has one: keyboardist Rob Clearfield, bassist Clark Sommers, and drummer Jon Deitemyer manage to strike the perfect balance between precision and finesse. And they highlight the way this band plays together as a band: their interaction with tenor saxophonist Chris Madsen during his spunky solo on “Lapse” is an excellent example of how to elevate and magnify a soloist’s statement. But it’s not just the tight rapport and strong solos that give this album its distinctive flavor. Bruce’s willingness to open up the music in unexpected ways allows “Major_Chord” to transition from bouncy swing to an unstructured section in which Madsen and Johnson can engage in a free exchange of ideas, before the rest of the band re-enters and Bruce spurs the two to even greater heights with some gritty interjections of his own. And the album’s closer, “Greatest Hit #1” is another 13- minute journey with more subtle surprises: a melancholy, moody theme which simultaneously pulses with a seething intensity, fueled by Deitemyer’s kaleidoscopic drumming and Bruce’s electronic embellishments. The piece epitomizes Bruce’s ability to craft listener-friendly music that can still offer plenty to challenge and intrigue those wanting a bit more than just a pleasant listen.